Naturaquell founder Erich Rasche was an outstanding entrepreneur, inventor and electrical engineer. He was born on July 13th, 1946 in Hünsborn, Germany. He studied electrical- and mechanical engineering. In 1976, Dr. Franz Morell, a German doctor and Erich Rasche’s father in law, and Dr. Louis Claude Vincent, a French electronic biologist, founded the Vincent International Bioelectronics Society (SIB EV) and wrote a monograph on the "Principles of Bioelectronics". This theory laid a solid foundation for Naturaquell’s healthy water technology. Influenced by the two scientists and their theory, Mr. Erich Rasche got actively involved in the research and development of medical equipment. 1979-1982, Both Mr. Erich Rasche and Dr. Franz Morell were dedicated to the research and development of bio-pysical diagnostic and therapy equipment, followed by the development of the MORA and MORA-Color devices. 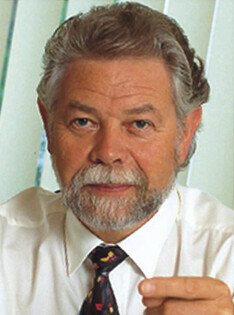 In 1984, Mr. Erich Rasche and Dr. Franz Morell co-founded Med-Tronik GmbH. In addition to bio-physical diagnostic and therapy devices, the company also developed MORA water purification equipment, which later pioneered the R & D of the Naturaquell water purification technology. In 1985, Mr. Erich Rasche formally incorporated the ERA Drinking Water Treatment Company (later renamed Naturaquell), specializing in the R & D and manufacturing of water purification systems. Naturaquell’s water purification business enters the fast-growing distribution channel. In February 1986, Mr. Erich Rasche developed a tabletop water purifier with the first implemented RO membrane, which was initially used in dental clinics. This water purification device using a RO reverse osmosis membrane was the only one on the German medical market at that time. In 1989, Mr. Erich Rasche extended the product line by an under counter, tank-free pure water unit with a built in pump, which was recognized and promoted by medical institutions. The product featured a unique water purification technology to ensure that every drop of water was "fresh water". This later became the general guideline for the Naturaquell water purification equipment. Erich Rasche‘s long-time contact with physicians allowed him a profound understanding of the specialized medical market. Naturaquell‘s water purification solution was generally accepted by customers of the medical community and earned its name as the "clean nurse". In the 1990s, with the development of the European Common Market, Erich Rasche shifted his attention to the entire European market, while the product line was extended to an entire domestic water system, providing high quality drinking water for European users. Naturaquell healthy water technology was utilized in the company’s various product series. Today, Erich Rasche's concept of "health first" has become the operating principle of Naturaquell. It will ensure the continuous innovation and development of the company and provision of high-quality products and services to users around the world. Mr. Erich Rasche was a charismatic and respected entrepreneur and inventor, who devoted his life to bio-physical diagnosis and therapy as well as water purification. He also took the lead in promoting water purification equipment in medical institutions and introduced Naturaquell healthy water technology to assist German doctors in improving health standards, as well as in diagnosis and therapy. Naturaquell was therefore extolled as "clean nurse" by doctors and Mr. Erich Rasche became a pioneer in the German water purification cause for the medical field. German health and purification cause.